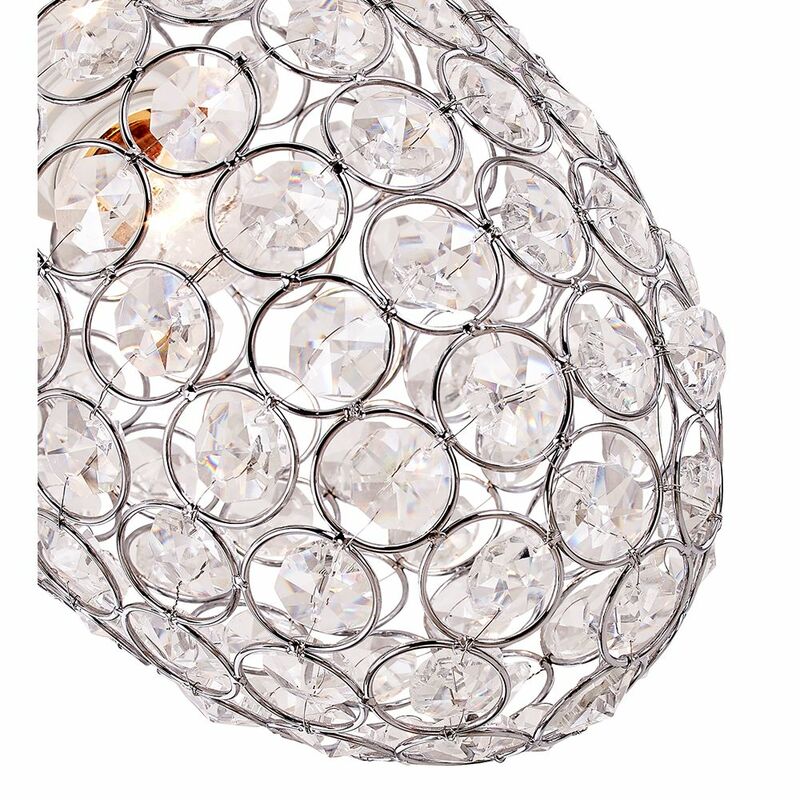 Unique and modern oval shaped easy-fit pendant light shade with chrome plated metal frame. 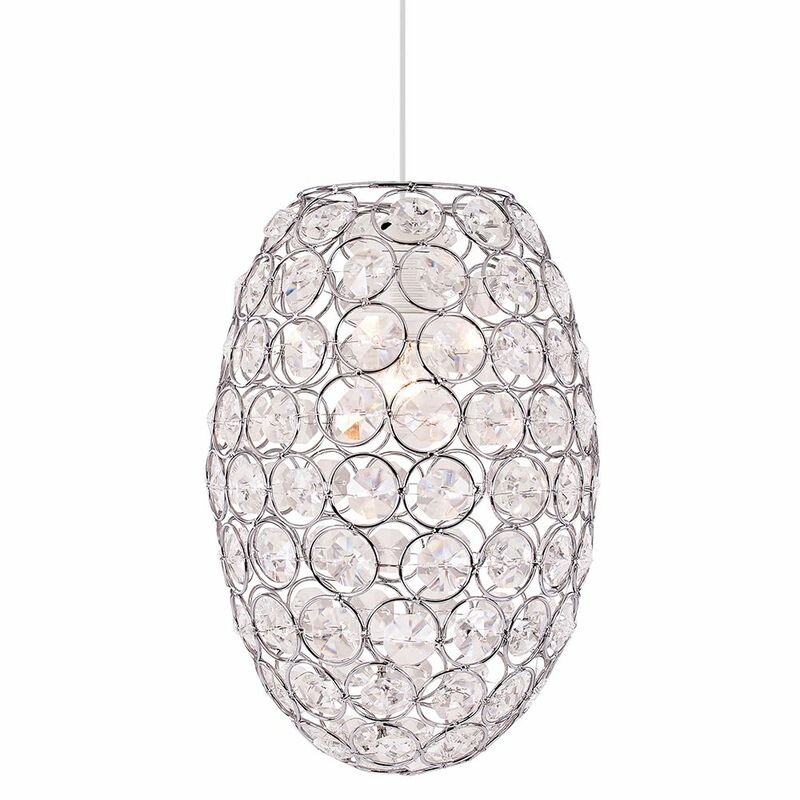 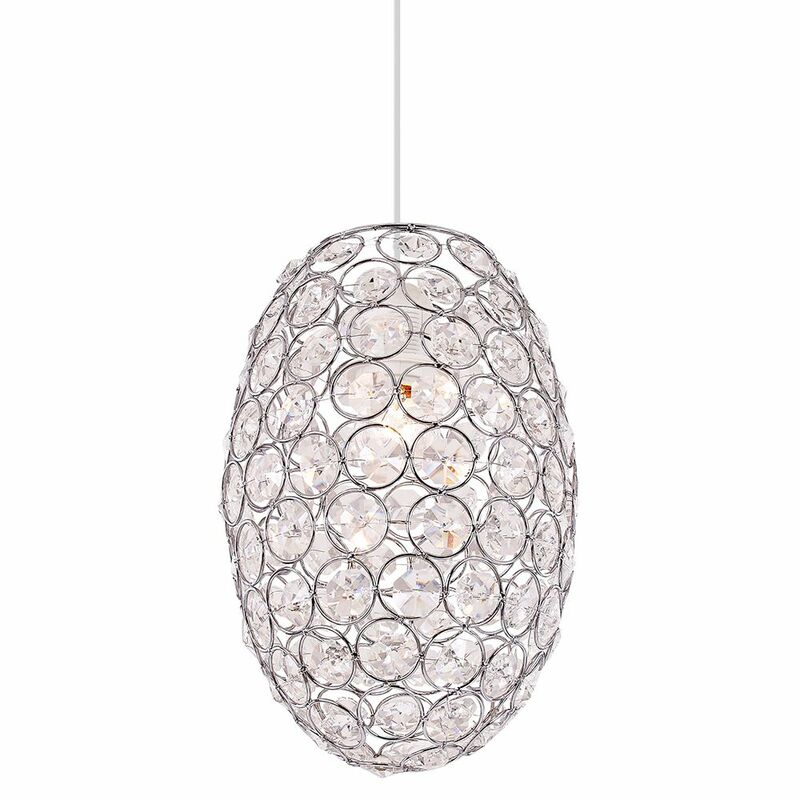 Features multiple small acrylic beads which give off a stunning crystal effect when light shines through. 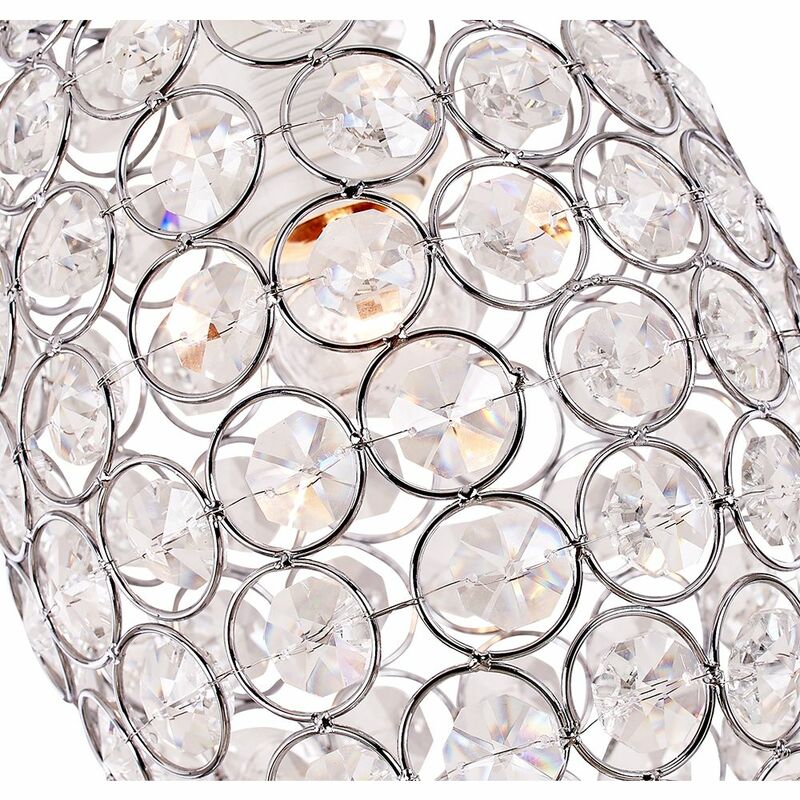 Total product dimensions: Height - 23cm, Width - 18cm, Length - 18cm.